Recently in Durg, Raipur and Rajnandgaon (Chhattisgarh) Jagdish Ram Nishad’s winter paddy crop is about to be harvested. On his three-acre farm, a few km from his home, green paddy strands stand along the neat rows of cabbage that are now in full bloom. In the last ten years, the 38-year-old farmer in Kopedih village, about 30 km from Rajnandgaon town off the four-lane National Highway 6, assiduously transformed his rain-fed single crop land into an irrigated lush-green multi-crop farm. 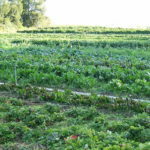 He improved his land’s productivity by ploughing back part of his profits to create assets like a bore-well which, he says, in turn helped him diversify into growing vegetables. A paddy procurement guarantee and a bonus amount over the support prices gave him more cash that he could reinvest in his farm. In return Nishad voted for Raman Singh, who became popular across rural Chhattisgarh as ‘Chaur (rice) Wale Baba’ for his paddy procurement and rice distribution programmes. Nishad is, however, concerned today if the returns from paddy would remain steady. The Raman Singh government, mired in a multi-crore food distribution scam that is threatening to dent its image, didn’t buy his entire paddy crop in the season that just ended the way it did this past decade. Plus, it has not paid him the bonus amount that it has been giving from its treasury by the season end. This is the first year in a decade that Nishad says his returns actually declined as compared with his last year’s income. 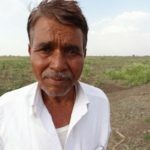 “Nuksaan to bahut hua, dhaan bhi pura nahi liya aur bonus bhi nahi diya (my loss is big; the government did not fully procure my paddy, nor gave me the bonus amount),” Nishad says. He’s not the only one sulking. In Chhattisgarh, paddy growers suddenly look unhappy with the chief minister. More than a million paddy growers in Chhattisgarh are agitated over Raman government’s sudden shift in procurement policy and an inexplicable scrapping of bonus. They felt it was a breach of their trust. In the run up to December 2013 assembly elections, the BJP promised in its manifesto that if voted back to power, its government would procure “every grain of paddy produced” and hike the bonus to Rs 300 per quintal. The state’s decision is actually driven by a paradigm shift in the Centre’s procurement policy.In June last year, immediately after coming to power, the Modi government asked all states to scrap bonus payment to wheat and paddy growers saying it “distorts markets and keeps private players out of the food business”. If they continued to pay bonus, the Centre warned in a letter to the states, Central agencies would restrict procurement leaving the states to bear the burden for surplus grain. The move was aimed apparently at tackling the rising food prices by keeping the surplus grain in the market. So while the UPA government supported him in subsidizing his state’s paddy economy, the Modi government is hitting the ‘Chaur-wale Baba’ where it hurts the most. It is in a way forcing Chhattisgarh to cut its paddy procurement, scrap the bonus and ultimately alter its much-touted public distribution system (PDS) by bringing in direct cash transfers. But the policy shift is hurting small farmers like Nishad when rural economy is in tatters, even some of the Chhattisgarh ministers admit privately. “It’s like Jor ka jhatka dhire se lage,” remarked the food and trade policy analyst Devinder Sharma. The Centre is slowly dismantling two drivers of green revolution: the Food Corporation of India (FCI), which is the backbone of food procurement, storage, transportation and distribution, and price guarantee.” In the last week of March 2015, Professor M S Swaminathan, regarded as the father of India’s green revolution, urged the Modi government to implement recommendations of the Farmers’ Commission he had chaired. Citing a need to safeguard interests of small farmers in the face of growing risks in agriculture due to climate change, he suggested the formulae for support price for commodities should be production cost plus 50 per cent. “Our green revolution has been sustained only because of public procurement of wheat and rice at a fairly reasonable MSP,” he said. “There is no other profession that has such low return”, he said adding that farming is the riskiest profession in the world due to uncertain weather conditions arising from climate change. “The future will belong to nations with grains and not guns.” Chhattisgarh began procuring paddy from growers immediately after its creation in 2001 at a premium of Rs 50 over the then prevailing support prices, mainly because farmers sold their produce in distress in open markets controlled by private traders and rice millers then. The state marketing federation procured paddy from farmers through cooperative societies, each catering to a cluster of 15-20 villages. The FCI bought the surplus rice after the state met its PDS requirement of about 2 MMT. The burden of bonus was borne by the state; the Centre paid for procurement, distribution, handling and storage. This system may now be dumped if the Centre accepts the recommendations of a high-level committee led by BJP MP Shanta Kumar on the FCI restructuring. The committee gave its report in January 2015. In 2014-15, Chhattisgarh’s paddy farmers earned, by a modest estimate, Rs 2,500 crore less on account of non-payment of bonus and part-sale of their produce to private traders at lower rates, a former Chhattisgarh minister who did not want to be named admitted. 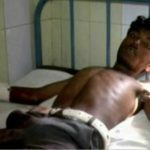 Not just the growers but also about 1350 village cooperative societies, which work as sub-agents for the Chhattisgarh state marketing federation, a nodal agency for paddy procurement, face uncertainty, said Raviprakash Tamrakar, a farmer and chairman of the Vruttakar Sahkari Society, Nankatti. “We are being taken back to the previous system where millers and traders will exploit producers,” he feared. Tamrakar, who leads a United Farmers’ front in Chhattisgarh, said the procurement system has several flaws that need to be rectified, but it’d be a disaster for farmers if the government scraps the policy. “A farmer has a guarantee that his produce would be procured at a support price and he would get bonus as an incentive to produce the grain; it stabilizes his economy and helps him meet his expenses.” The high level committee in its report thought otherwise. In an 80-page exhaustive report, it explains how the current food-procurement system and FCI functioning is obsolete and hence must be changed. The committee has said the FCI should leave the procurement to state agencies and private players in the states where such a system is fully developed and move to eastern states like West Bengal where procurement is weak and where through private participation it could help build a robust system. As regards the bonus, the committee recommends a per hectare crop-neutral cash subsidy to the tune of Rs 7000 but a total decontrol of fertilizer prices. Modi had begun to speak of his idea about unbundling of the FCI into three separate arms even before he became the Prime Minister. A section of economists feel the Union government needs to tide over a “wasteful expenditure” on food subsidies that include of paying a high price to wheat and rice growers, while growers say the support prices still don’t meet their every-burgeoning production costs. While Raman Singh, who’s on a sticky turf over the multi-crore PDS scam, has not yet made any open remarks against this shift, people close to him say he is concerned. The CM wrote to the PM last October months after the June diktat. Highlighting the plight of his state’s paddy growers, he urged Modi to reconsider his directive to stop bonus on paddy procurement. In 2013-14, his government gave Rs 2,400 crore in bonus payments to farmers on 8 MMT of paddy it procured – it came to Rs 270 per quintal. The principle paddy procurement price cost Rs 13,000 crore at Rs 1360 a quintal. In his letter to the PM, the CM said withdrawal of bonus would “reduce buffer stock” and “adversely impact the overall food security of the country.” He said since the bonus is paid by the state, it should be left alone to decide about it. Chhattisgarh’s promise of Rs 300/quintal as bonus for the 2014-15 was the highest in the country. To the PM, the CM said bonus payment is “the most important decision” of his government to improve farmers’ condition in his state. It was a promise made by the BJP in November 2013 assembly polls, he reminded. The CM said in his letter that 8 MMT of paddy would give about 5.4 MMT of rice and since the state needs only 2.4 MMT rice for its public distribution system, it would be left with a “surplus of 3 MMT” should the Centre not procure this rice in central pool. Chhattisgarh is the third largest contributor of rice to central pool with a significant share in the food subsidy bill. A former minister in the Raman government said: “People are unhappy; I hope good sense prevails on the Prime Minister.” The Centre has not taken a call on the HLC report, but has accepted some recommendations. Last Wednesday, the Centre asked the FCI not to purchase food-grains in Punjab and Haryana. While the latter has reportedly toed the diktat, the former has pleaded for a phased-withdrawal. “It (the policy change) will have a strong impact on Chhattisgarh’s economy,” TS Singhdeo, the leader of opposition in Chhattisgarh Legislative Assembly, said. “The BJP did not keep its promise to farmers,” he said. “We want the government to restore bonus.” In the last decade, Chhattisgarh emerged as the largest exporter of non-Basmati rice in the country – a success largely credited to its policy of price incentive and procurement. Last year, the state procured about 8 MMT of paddy; this year (2014-15), it initially said it would restrict procurement to 10 quintal an acre, but later raised it to 15 quintals in view of ensuing local body polls. But the damage had been done. The CM, who called for a ‘Congress-Mukt Chhattisgarh’, instead saw swathes of rural Chhattisgarh getting BJP-Mukt. 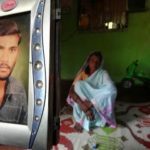 In his home district of Rajnandgaon, his party could win the municipal corporation, but was wiped it out in the Zilla Panchayat on the issue of paddy price. Out of 24 seats, the Congress in that panchayat won 18 seats, while the BJP won the remaining six. 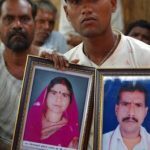 The ruling party’s defeat was spread across the state – it lost in the tribal belt of Surguja and Bastar, central plains, rural centres as well as Raipur, the biggest urban body. By the end of the procurement season in February, Chhattisgarh government bought 6.3 MMT of paddy, nearly 1.7 MMT less compared to last year, when actual production has reportedly increased. As Tamrakar, the farmers’ leader explained: “Farmers are angry; to dissuade them from selling their paddy to a society the government imposed so many conditions that small farmers felt it’s better to sell their paddy to private traders event at a loss.” Oblivious of the top-down policy changes, farmers like Nishad are wondering if Modi and Raman Singh have turned their backs to the promise of placing more money in the hands of rural peasantry. Take his own case: On an acre, he earned at least Rs 7,000 less this year, Nishad says. He explains: He got 20 quintals of paddy on an acre, about 60 quintals overall in Kharif. If the government procured his entire crop, he would get Rs 1360 (MSP) a quintal. If you take Rs 270 bonus that it gave on a quintal last year, his income would stand at Rs 97,800. Exclude the input and production cost, he would make a profit of Rs 45,000, at least. But here’s how much he actually made this year. He sold 25 quintals to private traders at Rs 1100/quintal. He sold 35 quintals to the government at Rs 1360. In all he earned Rs 75,100, or Rs 22,700 less than what he would have made had the government stuck to its promise of procuring his produce and giving him a bonus like it did last year. Nishad says he would usually use the bonus amount to buy inputs for the next season. “Bonus payment usually comes this time when we begin the next season’s preparation,” he says. “Will the state procurement system stay?” Nishad wonders. It’s not clear if Modi has made up his mind. Across Chhattisgarh, the withdrawal of bonus and a drop in state procurement of paddy meant a drop in the income of farmers. 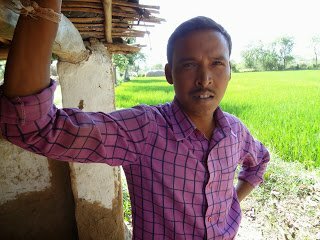 Nishad is better off than other farmers, since he is among 20 per cent who have irrigation facilities. Someone like Kunjlal Tandon, a dalit farmer of two acres in Bodegaon village of Durg district, is not only unhappy; he’s mighty worried. For the next season he has no money, he says. Even a small bonus was his big support from March to June. Now, he says, he’ll either sell or lease out his land.